These freight cars have been seen in past blog posts and there is an occasional question about them. I like putting a newly built car into service so I can determine if alterations are needed before it goes into the paint shop. After the models are painted, they are put into service again. Sometimes paint needs to be removed from couplers or another unexpected operating issue arises. For these unlettered freight cars, simple tabs are used for identification. The tabs are made from index card material. Unpainted cars have tabs taped to the running boards while the painted cars receive a folded tab that sits over the running boards. Gondolas receive a tent tab with the markings on both sides. The identification is kept simple with a basic letter indicating the car type and a two digit number following the letter. As painted freight cars receive proper lettering, the tags are no longer needed so extras are kept handy for the next projects rolling off of the workbench. 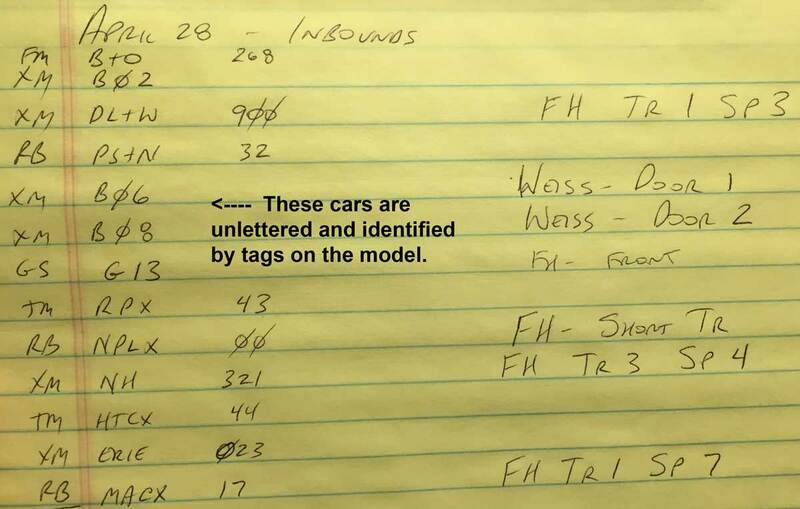 Documenting the cars on the inventory lists is as easy as writing down the reporting mark and the car number. Crews can identify the freight car and see where it is headed on the Wheeling Freight Terminal. Inventory sheets note where each car is going. The car details are on the left and destinations are noted on the right. Freight cars with no destination notes are typically spotted in the Team Yard. 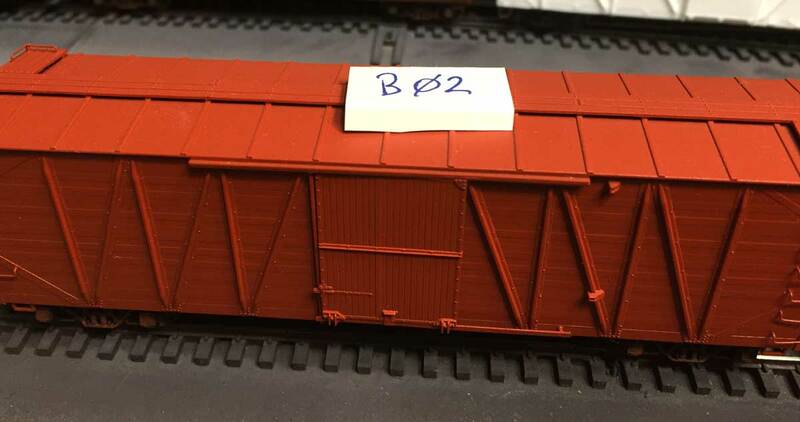 This is a simple method to keep the size of the freight car fleet constant for operating sessions and to determine if additional tweaks are necessary for newly built models. Eventually the undecorated cars are painted and decal lettering is applied, but sometimes that can take a little longer than expected. These simple operating tags keep the car in service until the final lettering is applied. Thanks for visiting my blog. Feel free to share a comment in the section below. Please follow the instructions so your comment can be posted. All comments are reviewed and approved before they appear. To subscribe to this blog, enter your info for a comment and check the last box to notify of new posts by email.